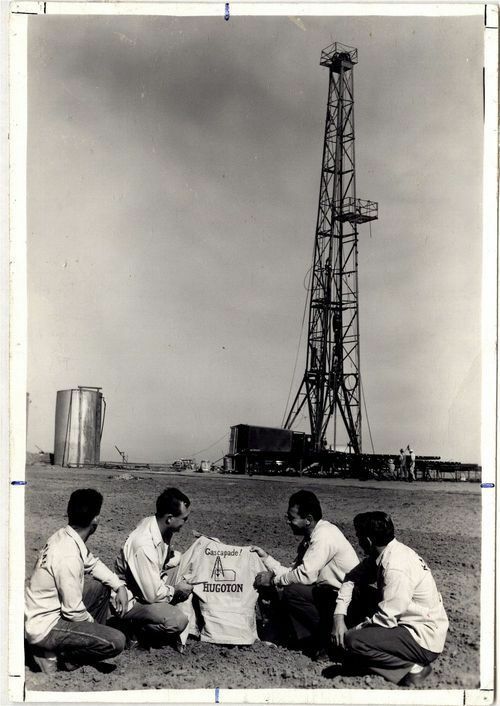 This black and white photograph shows four men kneeling on the ground holding a white shirt that reads "Gascapade! Hugoton". In the background, three workers are examining the operations of a gas or oil derrick.